What is a root canal treatment, anyway? Such a treatment, typically just called a "root canal," refers to a dental procedure commonly performed today on a badly decayed or infected tooth, often with the patient presenting with pain. The procedure removes much of the connective tissue with associated nerves and blood vessels that comprise the pulp deep inside the tooth. Coarse files of gradually increasing diameter through an access hole in the top of the tooth are used to scrape and scrub out as much of the pulp as possible. A filling or sometimes a crown can complete the procedure. After such a treatment, most dental patients are relieved of pain and are able to satisfactorily chew with the treated tooth. This would be great if there were no other consequences. However, the pulp is designed by nature to be sterile. A treated tooth always ends up chronically infected, but since much of the nerve complex has been removed, pain is not usually perceived even if the tooth is trying to tell the rest of the body that something is wrong as pathogens produce their toxins and continue to multiply. These toxins are incredibly potent, and they are released "24/7" into the draining lymphatics and venous blood from the jawbones, where they subsequently spread throughout the body. Over 5,000 consecutive extracted root canal-treated teeth were found to have a wide array of infectious agents and associated toxins. 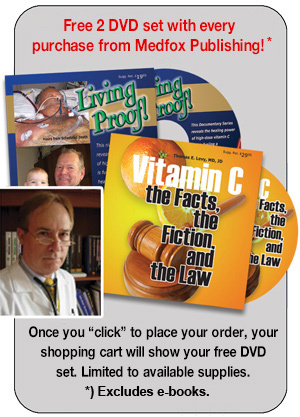 Toxins and pathogens deplete the antioxidant stores of the body, and chronic disease is the expected result. All toxins are pro-oxidant, and they actually inflict their damage by using up the protective antioxidant stores of the body, allowing vital biomolecules throughout the body to become oxidized and lose their normal function. Josef Issels found that fully 98% of his advanced cancer patients had "between two and ten dead teeth," which virtually always included root canal-teeth. Root canal-treated teeth can be the primary cause of chronic disease, and they can always be expected to worsen pre-existing chronic disease. As all disease eventually boils down to selected areas, tissues, and organ systems of the body having chronically increased oxidative stress, the pro-oxidant toxins of root canals promote all diseases at the cellular level. If you have one or more root canals, or if you are planning on getting one, ingest a broad spectrum of quality antioxidant supplements on a regular basis if extraction and cleaning of the socket(s) are not possibilities for you. Remember, however, that it is very difficult to "dry off while you are still in the shower." Repairing tissue damage while tissue is continuously being damaged at the same time is a stand-off, at best.